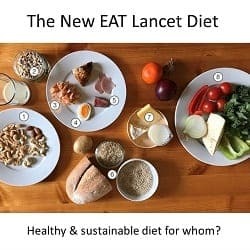 The New EAT Lancet Diet - a healthy & sustainable diet for whom? 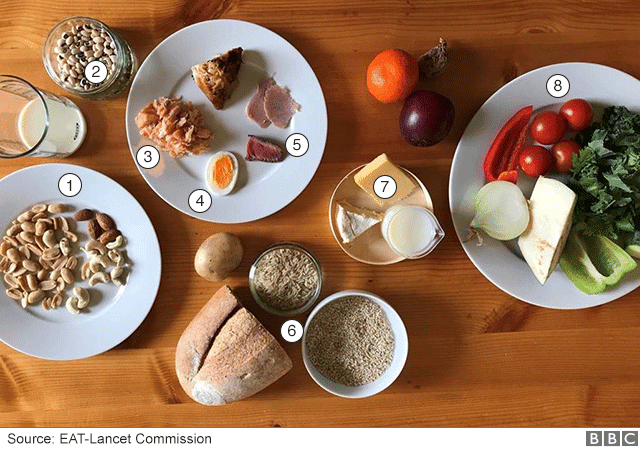 The New EAT Lancet Diet – a healthy & sustainable diet for whom? A new report released on January 16, 2019 by the EAT-Lancet Commission on Food, Planet and Health sets out what it calls a “healthy and sustainable diet”  for the whole world. The EAT-Lancet report proposes what it calls the “Planetary Health Diet”; a largely plant-based diet which aims to address the simultaneous global problems of malnutrition (under-nutrition) and over-nutrition; specifically that “over 820 million people continue to go hungry every day, 150 million children suffer from long-term hunger that impairs their growth and development, and 50 million children are acutely hungry due to insufficient access to food” and that at the same time “over 2 billion adults are overweight and obese”. The “Planetary Health Diet” intends address both under-nutrition and over-nutrition simultaneously by promoting a 2500 kcal per day diet that focuses on high consumption of carbohydrate-based grains, vegetables, fruit, legumes (pulses and lentils) — while significantly limiting meat and dairy. This sounds a lot like the proposed draft of the new Canada Food Guide (which you can read more about here). On this diet, you can have twice the amount of sugar than meat or egg, and the same amount of sugar as poultry and fish. For the 12% of people who are metabolically healthy, a plant-based low glycemic index diet is not problematic, but it’s a concern to recommend to the other 88% to eat that way — especially if they are insulin resistant or have Type 2 Diabetes. Dr. Zoe Harcombe a UK based nutrition with a PhD in public health nutrition analyzed the above “Healthy Reference Diet” from Table 1 of the Eat-Lancet report using the USDA (United States Department of Agriculture) all-food database and found that in terms of macronutrients, it had ; Protein: 90 g (14% of daily calories) Fat: 100 g (35% of daily calories) Carbohydrate: 329 g (51% of daily calories) Dr. Harcombe also reported that in terms of micronutrients, the diet was deficient in retinol (providing only 17% of the recommended amount), Vitamin D (providing only 5% of the recommended amount), Sodium (providing only 22% of the recommended amount), Potassium (providing only 67% of the recommended amount), Calcium (providing only 55% of the recommended amount), Iron (providing only 88% of the recommended amount, but mostly as much lower bio-available non-heme iron, from plant-based sources), as well as inadequate amounts of Vitamin K (as the most bio-available comes from animal-based sources). The “Planetary Health Diet” contains on average approximately 329 g of carbohydrate per day which is of significant concern — especially in light of the extremely high rates of overweight and obesity in both the United States and Canada, as well as the metabolic diseases that go along with those, including Type 2 Diabetes (T2D), cardiovascular disease, hypertension, and abnormal triglycerides. Since 1977, Canada Food Guide has recommended that Canadians consume 55-60% of daily calories as carbohydrate and the Dietary Goals for the United States recommending that carbohydrates are 55-60% of daily calories and in 2015, Canada Food Guide increased the amount of daily carbohydrate intake to 45-65% of daily calories as carbohydrate. What has happened to the rates of overweight and obesity, as well as diabetes from 1977 until the present? In the early 1970s, only ~8% of men and ~12% of women in Canada were obese and now almost 22% of men and 19% of women are obese. As mentioned above, 1 in 4 in Canada is obese and 1 in 3 in the US is and with those, Type 2 Diabetes as well as the metabolic diseases mentioned above. The Dietary Guidelines of both Canada and the US have spent the last 40 years promoting a high carbohydrate diet that has provided adults with between 300 g and 400 g of carbohydrate per day (based on a 2500 kcal / day diet). EAT-Lancet’s “Planetary Health Diet” may seem to be good for the planet, and for those facing under-nutrition in many parts of the world, but with 88% of Americans already metabolically unhealthy (and presumably the majority of Canadians as well), this diet which provides 300 g of carbohydrate per day is going to do nothing to address the high rates of overweight and obesity and metabolic disease that is rampant in North America. 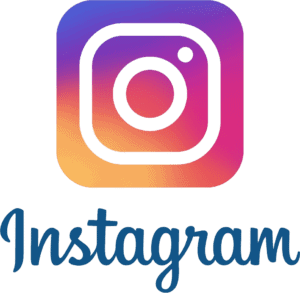 If you would like to learn more about a low carbohydrate diet for weight loss or for putting the symptoms of Type 2 Diabetes and associated metabolic diseases into remission, please send me a note using the Contact Me form. 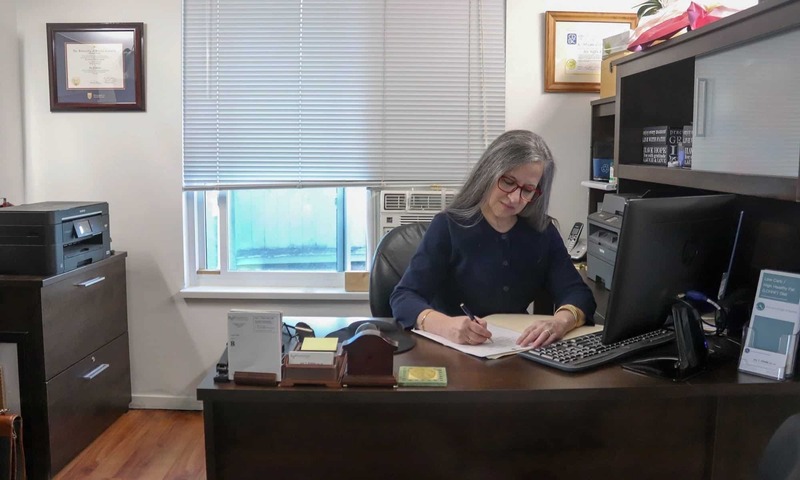 If you would like to learn why this diet provides inadequate protein for older adults and seniors, please click here.